59 Heritage is a luxury condominium that was completed in 2009. 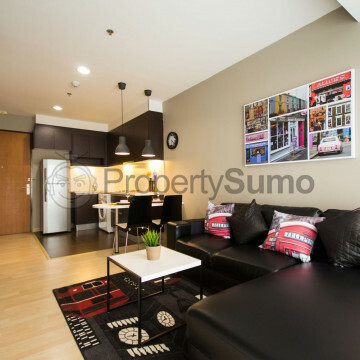 The building features an impressive 27 stories, with 233 residential units to choose from, each of which is extremely comfortable and fully furnished. 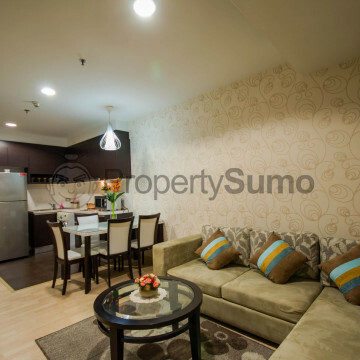 This is the perfect place for discerning tenants to choose. 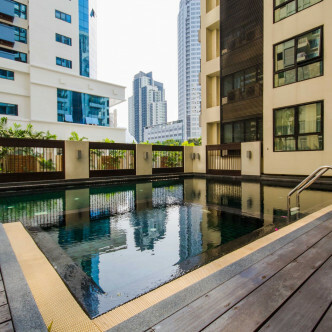 59 Heritage boasts an excellent range of shared facilities. 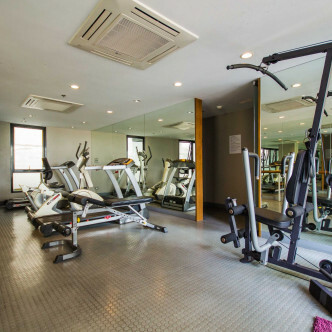 People who like to stay in shape are sure to enjoy making use of the fully loaded fitness centre, while the outdoor swimming pool is a great place to cool down after a workout. Other facilities include a laundry room and a large decking area where residents can lounge while soaking up the sun. 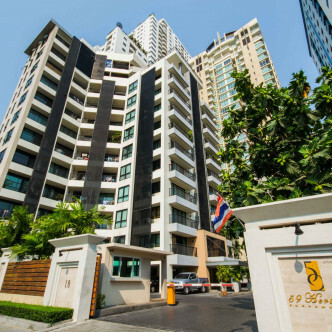 This building takes the Thong Lo district as its location, and the Thong Lo BTS station is just a short walk away. 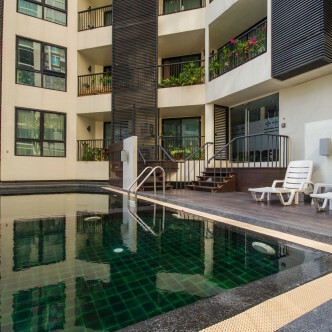 This is one of Bangkok’s most vibrant entertainment districts and residents will find a large number of bars, restaurants and spas right on their doorstep, making this the perfect place for people who like to socialise in their free time.